Feel like you don't measure up? No matter how busy you are, you're neglecting something else important? Mom and time-management coach, Janice Windt, knows the struggle of juggling family and work and shares some of her top tips with us to help you strike a balance. Like many, if not most, moms, Janice Windt found it really hard to keep all the balls in the air, meet everyone's demands, and not feel guilty all the time. But when her career took off after over a decade of climbing the corporate ladder, and she fell pregnant with baby number two, already struggling to juggle work and family life with her son being only 9 months old, she didn't quite know what to do. "I was juggling work and home at such a frenzied pace that I was not able to do either very well. Balance was a dream that seemed far out of reach. I craved three minutes to myself. But felt too guilty to take them." So she embarked on an "entrepreneurial adventure", as she calls it, and now helps thousands of moms to achieve a healthy balance in life. 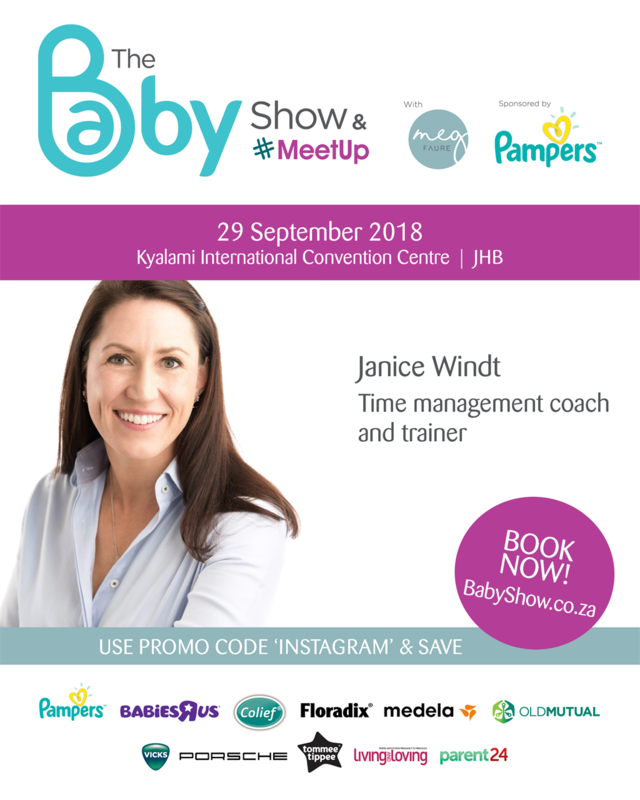 Janice will speak at The Baby Show & #MeetUp with Meg Faure at the end of this month in Johannesburg. But we also caught up with her and asked what the 5 questions are she hears the most. Here's what she had to say. Q: How can I learn to prioritise without feeling guilty? A: Discover and apply the concept of opportunity cost. “No” is one of the most difficult words to say. However, each activity you choose to include in your schedule means you are saying no to something else. What is your household "budget"? Not money… time? How much time do you have to focus on your relationship with your kids? What about your relationship with your husband? How good are you at saying no to your low-priority activities? Or, even better, delegating them? The truth is you don’t have time to be everything to everyone. What do you want to focus on? In order to achieve your goals you may have to learn to say no to everything that doesn’t serve your core purpose in this season. Q: How can I find the time to focus on my most important tasks with so many pulls on my time? A: Create a daily ritual to get the hard stuff done, with pleasure. I once interviewed the regional head of business and international communications for the African region of an international bank. She worked full time with international travel and at the time had two sons aged 2 and 4. In order to get her focused work time in, she would wake up at 4am each morning and light candles around her computer (particularly in winter) in order to feel that the time she had was closer to self-care than self-preservation. You may not be wired to focus like this first thing in the morning. You may be a night owl. Pay attention to your energy levels and daily rhythms and schedule in the focused time you need. By creating a daily ritual, you’ll find that your priorities get done almost effortlessly, at the time of day that is best for you. Q: Do you use to-do lists? A: No. I’ve ditched my to-do list for a mind map. Most of us never get even a third of the way through our to-do lists. A mind map provides a complete view of your life commitments on one single page. It is set out in exactly the same way as your brain thinks: a central topic is identified, and main topics are added around it. Then, as information is added, it is classified under the appropriate topic and the map forms around the subject under discussion. Eventually you have a complete picture of the key information about the main subject: the demands on your time. As opposed to a linear to-do list, a mind map enables you to prioritise instantly, complete your most important actions and make strides towards your most important objectives for this season. Q: I know it’s important to exercise but I can never find the time. How can I make this work? A: Choose an exercise, food, and bedtime that you’ll enjoy. Eating healthy, getting enough sleep, and fitting in regular exercise are the basics to living a long and healthy life, but let’s be honest, they are the first things to go. It’s important to find an exercise you actually enjoy, identify the goal you have in mind, and then create your exercise routine around these preferences. One of my clients wants to scale the Pategonian mountain ranges in the Andes, and another wants to be able to kick a ball around with her kids – these goals require vastly different levels of exercise. It’s really important to get moving so pick something you enjoy and that aligns with your goals. Then go for it! Q: I can never get the help and support I need. How can I ask people for help and get it? A: Master the art of delegation… both at work and at home. 1. Delegate a specific task to do within a specific date and time. 2. Specify the consequence of not following through and the reward for success. 3. Clearly articulate the relative importance of sub tasks. 4. Reinforce behaviour you would like repeated. 5. If you don’t want tasks re-delegated to you, don’t learn how to do them! I will be going into detail around these points and so much more in my talk on time management for working mothers at the Baby Show and #Meetup with Meg Faure later this month so I look forward to seeing you there! In the meantime, you can find out more on my website: www.janicewindt.com. To see who else will be speaking at the #MeetUp, click here for the speakers line-up. 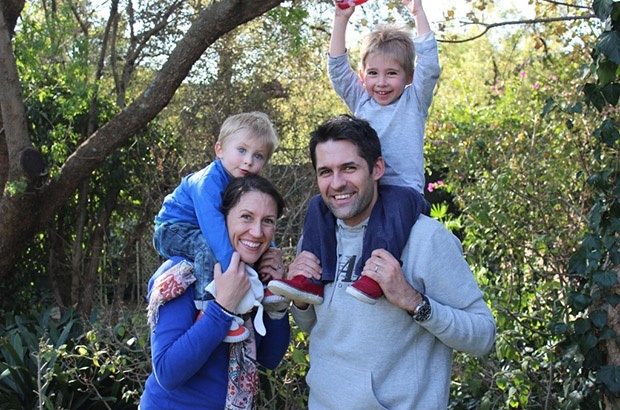 Book your tickets to The Baby Show & #MeetUp with Meg Faure today and get 10% off! Use the promo code: PARENT24. Click here. How do you balance work and family life? Tell us by emailing chatback@parent24.com and we may share your tips with our readers.